We're open 10.30am - 4.30pm Wednesday to Saturday. Please call in and try our delicious menu! Find us here. We look forward to meeting you! 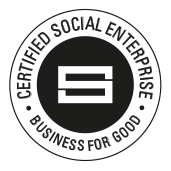 We are a social enterprise, what does that mean? We are a 'not for profit' business. Our purpose is to improve the local community by bringing people together & supporting their efforts to change the area. We employ and pay people for jobs they do at Monkey Park & strive to make sure we're enhancing the local community economy. We have already created 5 part time jobs for local people. There are at present seven directors also drawn from the local area. These are all presently voluntary posts. All profit must go back into the business or community. Should the business fail any assets will be transferred to another local social enterprise - the Inspire Community Garden. We are starting to plan wider community initiatives to build local community and business and we hope you will support us in our vision!